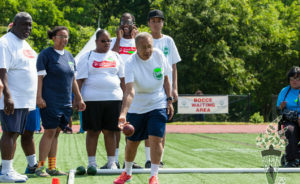 Special Olympics DC is the sole provider of sports, health and inclusion programs that benefit over 1,600 children and adults with intellectual disabilities in the district. These services are provided at no cost to participants. 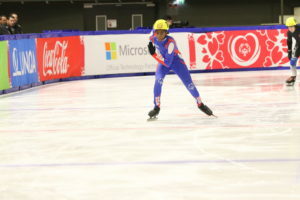 To provide year-round sports training and athletic competition in a variety of Olympic-type sports for children and adults with intellectual disabilities or closely related developmental disabilities, giving them continuing opportunities to develop physical fitness, demonstrate courage, experience joy and participate in a sharing of gifts, skills and friendship with their families, other Special Olympics athletes and the community. Special Olympics DC believes that through sports training and competition, people with intellectual and closely related developmental disabilities benefit physically, mentally, socially and spiritually; families are strengthened; and the community at large, both through participation and observation, is united in understanding people with intellectual disabilities in an environment of equality, respect and acceptance. There are about 200 million people with intellectual disabilities around the world. Our goal is to reach out to every one of them - and their families as well. 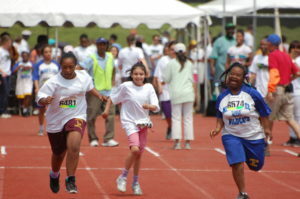 Special Olympics DC does this through a wide range of training, competitions, health screenings and fundraising events. We also create opportunities for families, community members, local leaders, businesses, law enforcement, dignitaries and others to band together to change attitudes and support athletes. Special Olympics DC knows no boundaries. Without regards to gender, race, religion, economic or education level, Special Olympics has the ability to unite all walks of life. This spirit of generosity, inclusion and volunteerism helps to connect the community as a whole. In this way we can build a stronger, safer world.